I know, I know, it's been a while since my last post. In fact, it's been more than two months. What can I say? It wasn't meant to be like this. In that time we have moved back to the United Kingdom and got our house sorted out, all of which took time. For much of that period we have been without the internet both in Greece and in the UK and don't forget that I am also naturally indolent. To compound these admittedly fairly weak excuses, since my return to the UK I have found I have what for the time being I shall refer to only as "health issues". The precise nature of these is still being determined, but they have been a distraction. Anyway, we now have the internet at home - hooray! - and to distract me from my other distractions I feel I should get back in the blogging saddle, as it were. Much has happened over the last two months. When we left Greece, the banks had been closed and the rest of Europe seemed to be waiting for the Greek economy to stop circling the plughole and finally disappear without trace down the drain. That hasn't quite happened, but Greece and its economy are still on the critical list and likely be to be so for a long time. Here in Britain politicians on all sides seem intent on showing they can be tough on migrants trying to get through the Channel Tunnel to seek asylum status in the UK. As ever the "who can be the nastiest" competition seems to be going the Conservatives' way. They have plans to introduce legislation which will make it illegal for landlords to rent property to people who do not have the proper status to be in the UK. A friend pointed out that this was not that different to laws used by the Nazis in pre-war Germany to make life impossible for Jews. Sometimes the Tories do seem determined to embrace their reputation as the Nasty Party. Having said that, Labour have been coming up with some spectacularly stupid ideas, not least of which is that the French government should pay compensation to the UK for migrants who get through the tunnel. What a great idea, alienate the government at the other end of the tunnel by demanding money from them and then expect them to cooperate with you in dealing with this complex problem. In case you're wondering I don't have an answer to the problem, but then I'm not the prime minister, nor am I leading the opposition. 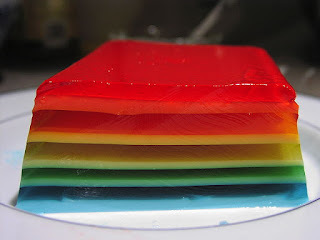 The title of this posting referred to this blog's recent lack of frequency. I think I can do better than post at the same frequency as Halley's Comet which is visible from earth every 76 years, just so long as I can combat my natural indolence. That also brings me to the blog's title. Some of you may remember that I felt that on my return to the UK I could no longer keep calling it The View from the Olive Grove. For sure when I look out of my house here in Devon I definitely don't see any olive trees. So what to call the blog? I had one or two useful suggestions from friends, but being the pig-headed type that I am I wanted to come up with my own answer. Eventually I settled on The View from Pudding Island. The reason for this is a bit hazy, but basically writer Laurence Durrell, who had a strong connection with Greece, used the term Pudding Island to describe Britain, a country which he hated although he was technically British. I certainly don't equate myself with Durrell, nor do I hate Britain, although I suspect that like a lot of Brits I have a fairly ambivalent view of the country of my birth. In a more positive light, Britain does have some great puddings. So, The View from Pudding Island it is, hopefully starting on Monday. See you then. I'll be spending much of the weekend tinkering under the bonnet trying to give the blog a new appearance. As ever, I like to finish with some music and for this post I have chosen Sloop John B by The Beach Boys. I wanted to use it for a post before we left Greece but circumstances intervened, however, it's too good a song not to use, so here it is. I've not been a very good blogger recently. It's a combination of a post A to Z Challenge slump and a certain amount of turmoil on the domestic front as we get ready to leave Greece to return to the UK. My blogging "slump" might also be termed laziness and is overcome by pulling my finger out, but the turmoil takes a bit more working through. I am beset by doubts about what we are about to do and, to be honest, my only response to those doubts is to plough on and hope that all will be well in the end. But sometimes even that tactic can struggle. This morning, for instance, we were drinking coffee with friends in a harbourside café. It didn't take long before people started pointing out - I was among them - that the weather in Devon, might not be conducive to such outdoor gatherings. And that led to me wondering just what on earth I thought I was doing leaving Skopelos. So what a relief it is to learn that such thoughts are nothing new. Romain brainbox Seneca the Younger, who lived from about 4BC to 65AD, offered some pretty incisive thinking to a friend who moaned that after a recent journey he didn't feel things had improved. bit worn around the edges here. 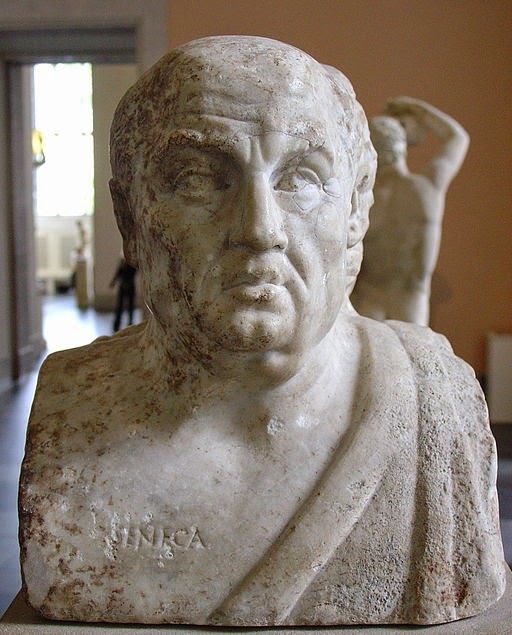 In his no-nonsense way, Seneca told his friend: "You need a change of soul rather than a change of climate. "What pleasure is there in seeing new lands? Or in surveying cities and spots of interest? All your bustle is useless. Do you ask why such flight does not help you? It is because you flee along with yourself. You must lay aside the burdens of the mind; until you do this, no place will satisfy you." So while Seneca's advice will not lead to me staying put in Greece, it will encourage me to "lay aside the burdens of the mind" or at least recognise them for what they are. I know the reasons for our move are the right reasons, even if we have to experience a bit of angst along the way. I wanted to put some music with this, but was struggling to find something I felt would fit and then I remembered Sit Down by James. I think it goes well with Seneca's talk of fleeing along with yourself and having to lay aside the burdens of the mind. Postscript: I am still trying to come up with a name for this blog to be used after I return to the UK. I had a moment's inspiration in the middle of the night recently only to discover that there was already a blog with that name. As Mr Micawber said: "Something will turn up". 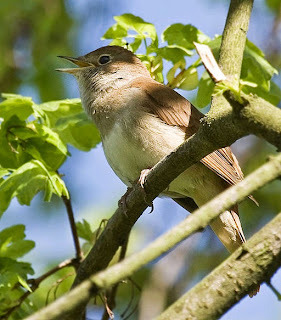 One advantage of not sleeping well - actually some may say the only advantage - is that getting up in the middle of the night enables you to hear the nightingales singing. They don't only sing at night, but it's easier to hear them in the quiet of the olive grove at 3am. It's a beautiful song. According to the RSPB the "high quality song is a fast succession of high, low and rich notes that few other species can match". I think that about sums it up. 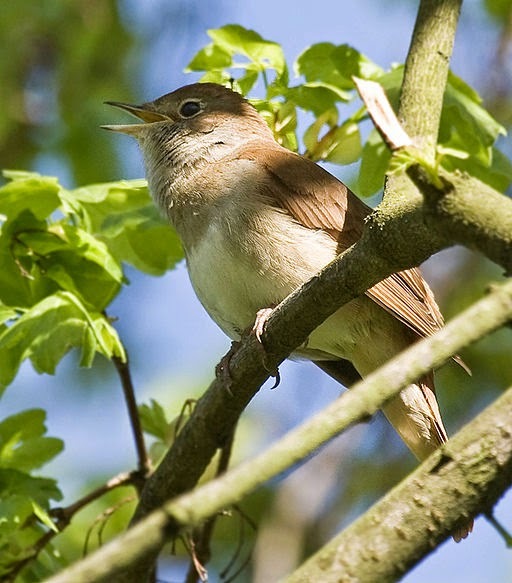 Although the famous song suggests that A Nightingale Sang in Berkeley Square, you'd have to doubt that anyone would have heard it above the roar of traffic in the West End of London, even 50 or 60 years ago. Be that as it may, it's a good song and a fitting one to end this post. Nothing lasts forever. Always an ambiguous phrase in my view. Do we mean that there is nothing which will last for eternity or do we mean that what we term nothing does, in fact, go on forever. In my typically equivocal fashion I suppose I mean both. In this instance what will not last forever is my time here on Skopelos. After a lot of thought and soul-searching we have decided to return to the UK. There are a number of reasons for our decision, but most are bound up with our family. While there is not always a lot I can do for my family when I am in the same country as them, there is virtually nothing I can do for them when I am on a remote Greek island about 1,500 miles away. In addition, I will admit to feeling increasingly jaundiced about my life here in Greece. In Greek mythology the lotus eaters were a race of people on an island whose primary food was the narcotic fruit and flowers of the lotus. This resulted in them leading lives of peaceful apathy. Sometimes I feel that is what my life has become here. I cannot pretend that I am not fearful about the future. Is returning to the UK the right thing to do? How will we manage? What will we do? Also I know that Mrs C is less struck on the idea than I am. After a recent sojourn in the UK she returned to Skopelos complaining bitterly of the British weather. That is not her only concern about life in the UK, but it is one I understand. Also she will miss her beloved garden which she has worked so hard to create. 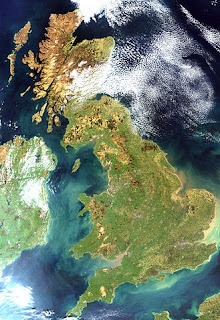 I am troubled that she will be unhappy away from this beautiful island. In her typically pragmatic fashion she has assured me that returning to the UK is something we will have to make work: no use whingeing and wringing our hands, we'll just have to get on with it. Since coming to the decision to return to the UK there has been a General Election resulting in a Conservative government. This fills me with some foreboding, but then I am currently living in a country where foreboding is the default setting as it continues to lurch towards seemingly unavoidable economic doom. What will be, will be, wherever I live. Today is my birthday, which is usually regarded as a cause for celebration. Still here, still above ground, not completely moribund, and yet I am writing this post which is more than a little woeful. I am sorry to be sombre, but today it is the way I feel. I'll cheer up later. I suppose I should take some consolation from the title of this post. All things must pass, nothing lasts forever. I will get over this, but in the meantime, as is my usual practice with this blog, I'd like to finish with some music. I have chosen the very beautiful, but also rather mournful 1st movement of Elgar's Cello Concerto. I'm now worrying that this is all getting much too gloomy so we'll have one more bit of music which will be much more like how my birthday ought to be. My second A to Z Challenge completed and a bit like getting home from a very frenetic party, everything seems very quiet now. I enjoyed it, made some blogging friends and was constantly surprised at the various ways people approach blogging and the A to Z Challenge. I'm speaking only for myself, but I think it makes good sense to write as many, if not all, of your postings before the event begins. Seriously, it's so much easier. I know some people like to wing it, but in my book preparation pays off. Having said that, what I found difficult, last year and again this year, is trying to visit a good range of other blogs. I had some I went back to again and again, but missed out on many others. In no particular order, blogs I enjoyed included: Angels Bark, which provided a musical extravaganza; Smidgens, Snippets & Bits, which had some useful life lessons for us all; Brits in the USA, which gave us a rollercoaster ride in novel form; The Odd Particle [Re}View, which lived up to its name; and That's Purrfect, wasn't the internet invented for stuff about cats? There were many other blogs I looked at and liked so IF I do this again next year, I'm going to come up with a strategy for more meaningful visits to other blogs. Don't know what it is yet, but I'll think of something. That's about it, really. Other than to say a big thank you to Arlee Bird and everyone else who helps with the organisation of this event. I like to finish my blog postings with a bit of music and this song from Nat King Cole sprang to mind when I was wondering what might be fitting for my "Reflections" post. I hope you enjoy it.